Mr. Moin M. Fudda has over 40 years of rich and unique blend of professional experience which encompasses working for the corporate sector and performing diplomatic duties. He holds an MBA (Insurance & Risk Management) from St. Jones University, New York. In his former role as Managing Director of Karachi Stock Exchange (now Pakistan Stock Exchange), he was elected as Chairman of the Corporate Governance Task Force of Federation of European and Asian Stock Exchanges (FEAS). He has helped in creation of Pakistan Institute of Corporate Governance (PICG). He is a Certified Corporate Governance Trainer by International Finance Corporation (IFC) since 2010 and is a Member of Faculty and has also served on the Board of PICG. He has contributed significantly towards development of Corporate Governance Rules for Public sector Enterprises and Corporate Governance Guide for Family Owned Businesses. He is an Independent Director on the Boards of Pakistan Stock Exchange and Central Depository Company and was recently elected as Chairman of the Board of CDC. He also serves as an Independent Director on the Board of Pak Suzuki Motor Company and Al Meezan Investment Management as well as a Country Representative for SCOR – A Global Tier 1 Reinsurer. He is also a Member, Board of Karachi Council on Foreign Relations and a Member, Executive Committee of English Speaking Union of Pakistan. Moreover, since 2003, he continues to serve as a Chairman/Member of Alternate Dispute Resolution Committees (ADRC) of the Federal Board of Revenue. Prior to joining KSE, he was Country Chief of New Zealand Insurance and Commercial Union (CU now AVIVA) and founder MD of CU Life (now Jubilee Life). Since 1990, he has been serving as the Honorary Consul General of New Zealand for Pakistan and being its sole representative, his responsibilities include, consular affairs, trade, education & facilitations of visas. Earlier he held positions such as Country Director, Center for International Private Enterprise, an affiliate of US Chamber, Chairman, Islamabad Stock Exchange, President of Overseas Investors Chamber of Commerce & Industry and Management Association of Pakistan. 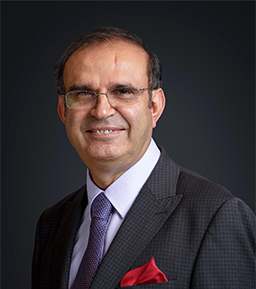 He has also served on the Boards of Investment & Privatization Commission, Pakistan Institute of Management and Federation of Pakistan Chamber of Commerce & Industry and National Center for Dispute Resolution. In 2006 Mr. Fudda was conferred Sitara-e-Imtiaz (S.I.) by the President of Pakistan. In 2002, he was recognized as the Honorary Officer of the New Zealand Order of Merit (ONZM) and in 1990, NZ Commemoration Medal was conferred by the Queen of New Zealand.